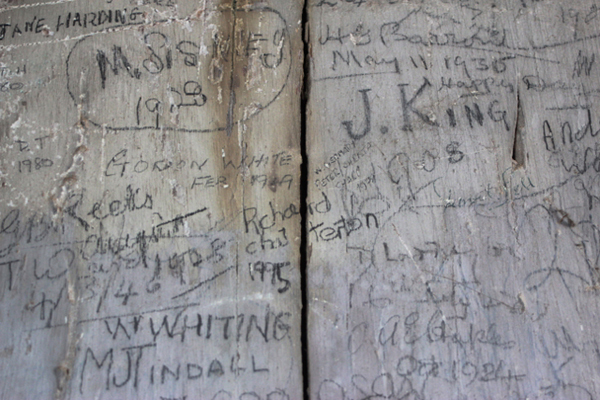 I find the graffiti found in different parts of Moulton Mill absolutely fascinating. These marks all tell a story of a life once lived, a life connected to the Mill either as a Miller, mill worker or visitor. There are signatures, addresses, tally marks, notes about quantities and grain origins. Some of the graffiti is located right at the top of the mill on the main central shaft so I made images for display during the exhibition. Categories: Art | Tags: graffiti, Moulton Mill, National Mills Weekend | Permalink.